Use the Everyday Pan for a multitude of cooking tasks. 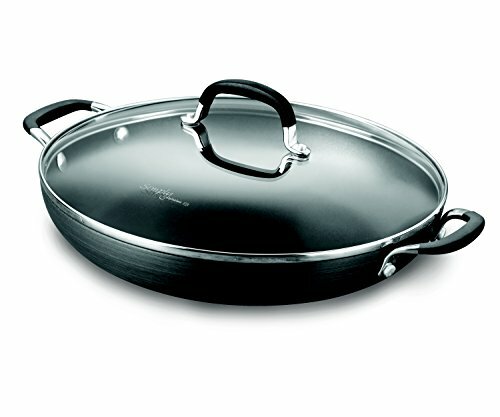 Its sloping sides and low profile make it ideal for preparing paella, sauteing meats or seafood, or even using as a roast pan or griddle. An ideal choice for cooking enthusiasts, Simply Calphalon Nonstick brings durability, performance and value to your kitchen. 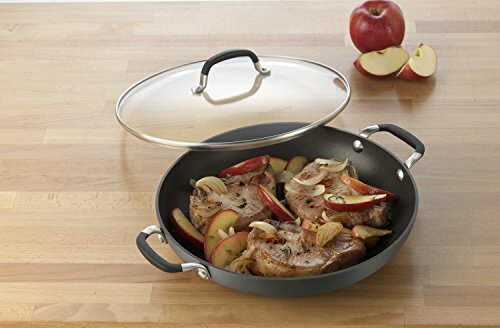 Its long-lasting nonstick surface consistently delivers delicious results followed by easy cleanup, while the hard-anodized aluminum construction promotes fast and even heating. Silicone handles feel comfortable and stay cool on the stovetop.